I started baking pies when my son was heading to college. It was a half-empty nest occupation, meant to fill a hole that swelled when he left. It became more than that; an outlet into something I could control and that gave me satisfaction, the joy that comes from pleasing others, and, of course, really great pie. It became important to me, and still is, although I bake far less frequently than I did at one time. I had to get through the lessons, the experiments, and the failures and that took a lot of pie baking, before now, when I’m reasonably confident and can turn out a fine pie when I put my mind to it. 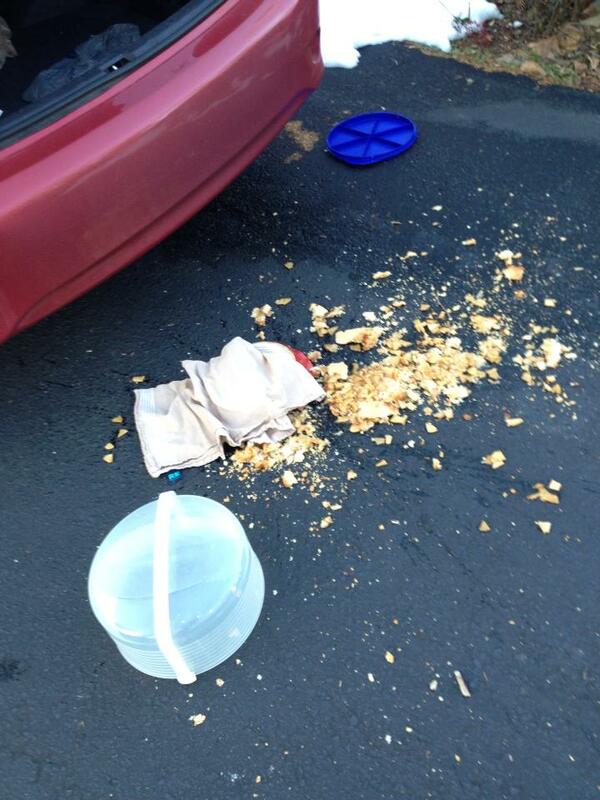 I made, what I will forever refer to as the most perfect apple pie ever made, and rushing from oven to car to take it to a friend’s birthday dinner, I dropped it. Spectacularly. With witnesses, one, a neighbor’s young daughter, who immediately came over and wrapped her little arms around me and I started to cry. It put me off baking pie for a couple of weeks. But I mourned it, as we do when what we’ve worked on, invested in, created with love and then inadvertently destroyed. And then I dried my tears, realized it wasn’t the end of the world — far from it — and enjoyed a lovely birthday dinner with some great friends. I returned to pie baking with two triumphant cherry pies. What’s the lesson here? Know of what you’re capable. Don’t stop doing what you love, just because you have the occasional misstep or complete failure. Pick yourself up, accept the hug, and get back to the business of being you. I’m working on that, a couple pies at a time. 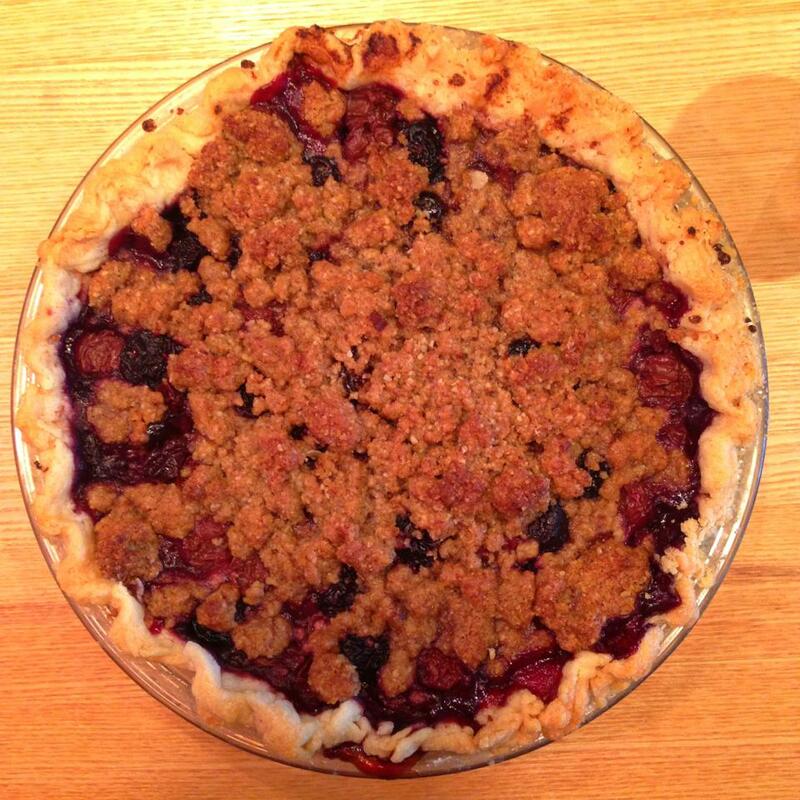 This entry was posted in Life of Pie and tagged triple cherry pie. Bookmark the permalink.